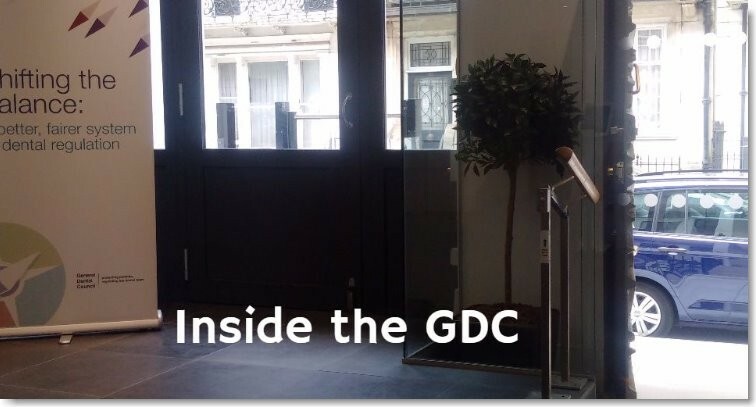 Last Monday 14th August 2017, I had another meeting with Jonathan Green (Head of FtP) and Matthew Hill (Head of GDC Strategy). It was a no holds barred meeting and I was free to ask any questions. I wasn't locked in dungeons under 37 Wimpole Street at any point! Here is the agenda of the 90-minute meeting, along with the GDC answers in blue. It raises some important considerations about what we need to do as a Profession. I think we need to think about the answers and discuss a strategy for the Profession. The third NHS Confidence Monitor survey is now live for all dental professionals to share their views. Its aim is to provide a better understanding of the profession’s confidence levels in NHS dentistry. The preceding NHS Confidence Monitor, conducted in May and June of 2015, solicited over 300 responses from dentists across the UK. To reflect the profession’s growing interest in the NHS Confidence Monitor, this latest survey has been opened up to enable all members of the dental team to share their thoughts, providing a deeper and wider understanding of the whole profession’s perception of NHS dentistry. • Whether patients will be happy with level of care provided. In addition to widened access, the survey has increased in scope to explore a number of new topics. Those taking part are invited to respond to questions concerning their proposed age of retirement to gauge the possibility of a staffing crisis in the future, and whether they would feel happy encouraging a family member or friend to pursue a career in dentistry. ‘Finding out about team members’ retirement plans should offer an interesting insight into whether there might be a Provider crisis when it comes to asking dentists to sign up to a reformed NHS contract. In addition, asking whether one might encourage a family member or friend to pursue a career in dentistry really brings the overall mood of the profession into focus,’ remarked Andrew Lockhart-Mirams, a specialist in business advice and structures in healthcare and co-founder of Lockharts Solicitors. Also commenting on the survey, Judith Husband, who sits on the BDA’s Principal Executive Committee, said: ‘I think it is very important to understand the landscape of what is going on. That is why I believe the ongoing, enhanced NHS Confidence Monitor survey is so important and I would urge team members to have their say. To take part in the latest NHS Confidence Monitor and share your thoughts, please visit https://www.surveymonkey.com/r/PracticePlanNHSConfidencemonitor3 before the closing date of 31st January 2016. The survey should take approximately three minutes of your time. Once the results of the latest survey have been independently verified, they will be presented to an ‘Insights Panel’ made up of key opinion leaders and experts from the dental profession who will explore and debate their significance and their implications for the future of NHS Dentistry. The panel’s findings will then be shared with dental professionals throughout the UK. For detailed results from the last two surveys, as well as to gain access to the discussions from our previous Insights Panel meetings and interviews with our panel members, visit www.nhsdentistryinsights.co.uk. 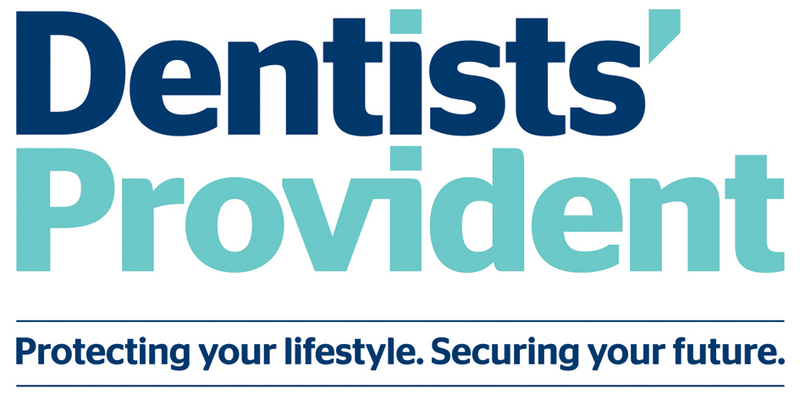 Enter the Dentists' Provident Survey and win a Speaker! At Dentists’ Provident they protect dentists in the UK and Ireland with income protection cover when a dentist can’t work because they are ill or injured. As a mutual, members are at the heart of our organisation. They would like to learn more about your daily habits so they would be grateful if you could spend a few moments completing this survey, for your chance to win one of two Bluetooth® speakers. 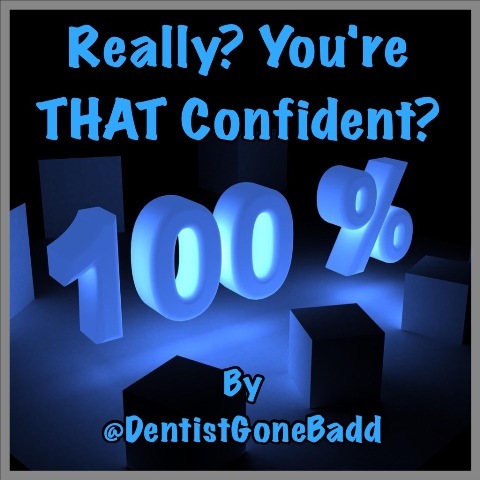 A staggering 95% of dental professionals (NHS Providers and Performers) working within the NHS who responded to the most recent NHS Confidence Monitor have stated that they are less confident in the future of NHS dentistry than they were 12 months ago. Over 300 NHS dental professionals completed the second NHS Confidence Monitor, a comprehensive industry survey conducted on behalf of Practice Plan, sharing their views about the future of NHS dentistry. The aim of this on-going survey, which will take place every six months, is to gain insight into the profession’s confidence levels in NHS dentistry over the coming months and provide a snapshot of the mood of the profession going forward. The NHS Confidence Monitor also revealed that dentists are very worried about their own future, with 90% of respondents saying they are less confident about their career prospects within NHS dentistry going forward than they were a year ago. Confidence levels are also at a shocking low in terms of dentists’ ability to offer their patients the right balance of treatment versus prevention in times to come under the NHS, with 85% of respondents expressing fears that the balance won&apos;t be right. 94% of respondents said they had lost confidence that practising dentistry within the NHS will offer an appropriate level of remuneration in the future, serving as a worrying statistic for the Government since this is suggestive of staffing shortages in times ahead if dental professionals choose to leave NHS practice. 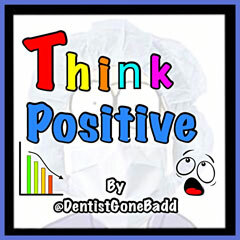 It also seems that there is little confidence that dental teams will be able to work effectively within the NHS framework as time progresses, with 89% feeling less confident on this matter than they did in the previous 12 months. Perception of patient satisfaction is also at a worrying low, with over three-quarters (77%) of respondents lacking confidence that patients will be happy with the outcome of attending an NHS dental practice in the future, when compared to 12 months ago. Commenting on the results, Eddie Crouch, Vice Chair of the Birmingham Local Dental Committee, stated: ‘I think it’s worrying that so many people have become markedly more despondent since the last survey. I think it’s partly anticipatory and partly because the issue appears to be so low down the Government’s list. Each NHS Confidence Monitor survey will be followed up with a forum of key opinion leaders, dentists and dental professionals to explore the results in greater depth and place them in context. The next forum is scheduled for October 2015, after which the group’s opinions on the survey results will be made available to the dental profession in the UK. In the meantime, to see the full results or for further information on the NHS Confidence Monitor, please visit www.NHSDentistryInsights.co.uk. The second NHS Confidence Monitor - a survey designed to capture how confident the profession are in the future of NHS dentistry - is now open for dentists to take part and share their views. The first survey was conducted at the end of 2014 and is being repeated to monitor how confidence levels ebb and flow as new information about the contract reforms emerges and the selected prototype practices reveal their thoughts and findings on the potential new systems. The results will then help to provide a snapshot of how the profession perceives the future of NHS dentistry. • The ability of the team to work effectively within the NHS. Among other findings, the first survey revealed that 39% of the respondents asked were less confident about their career prospects within NHS dentistry over the next 12 months than they were a year ago. It will take just two minutes of your time to take part in this unique opportunity, while the results may inform the long-term future of many. The NHS Confidence Monitor is an independent survey commissioned by Practice Plan. Practice Plan is the UK’s number one provider of practice-branded dental plans. They have been supporting dentists with NHS conversions for over 20 years, helping them to evaluate their options and, for those who decide to make the change, guide them through a safe and successful transition to private practice.